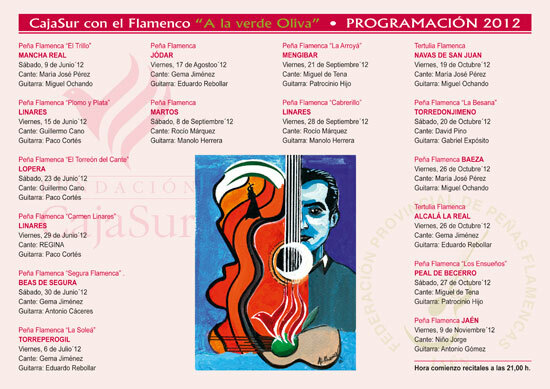 The 2012 Autumn programme for Peña Flamenca ´A la Verde Oliva´ has been published. This if for my memory too, I so want to make a couple of local performances with different artists this year, never having made one yet. Click on the poster to make it larger and readable.